Using this tutorial you will be able to create a custom firmware, tether jailbreak and unlock iOS 5.0.1 running on iPhone 4. This tutorial uses Sn0wBreeze 2.8b11 for Windows. Sn0wBreeze will also preserve baseband version if you need carrier unlock. UPDATE: With the release of iOS 5.0.1, you might get troubles restoring to iOS 5.0. Don't worry, new sn0wbreeze is already available. Our tutorial for iOS 5.0.1 is available here. Using this tutorial you will be able to create a custom firmware, tether jailbreak and unlock iOS 5 running on iPhone 4. This tutorial uses Sn0wBreeze 2.8b8 for Windows. UPDATE: Apple released new iOS versions and has stopped signing all other firmwares, including iOS 6.1.2 and iOS 5.1.1. This means you can NOT restore to 6.1.2/5.1.1/4.3.3 and others any more (both original and custom), unless you have saved your SHSH keys for it. What type of device do you have (iPhone 3G/3GS/4, iPod Touch 3G/4G, iPad 1/2, Apple TV)? 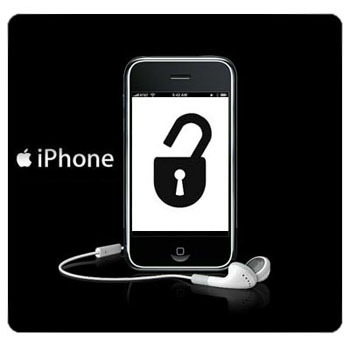 Do you need unlock (if your iPhone locked to one carrier and you want to use it with another)? The answer is NO, if the device is not iPhone, if it was purchased as factory unlocked and can be used with any cellular carrier (f.e. in Canada, France, etc). If the answer is YES, you need to find out your modem version (Setting-General-About-Modem). What firmware version do you have? Take a look at Setting-General-About-Version. For example it could be iOS 4.3.3. What operating system do you use on your desktop (Windows, Mac OS)? For iPhone 3G the latest is iOS 4.2.1. You can perform jailbreak with any utility. 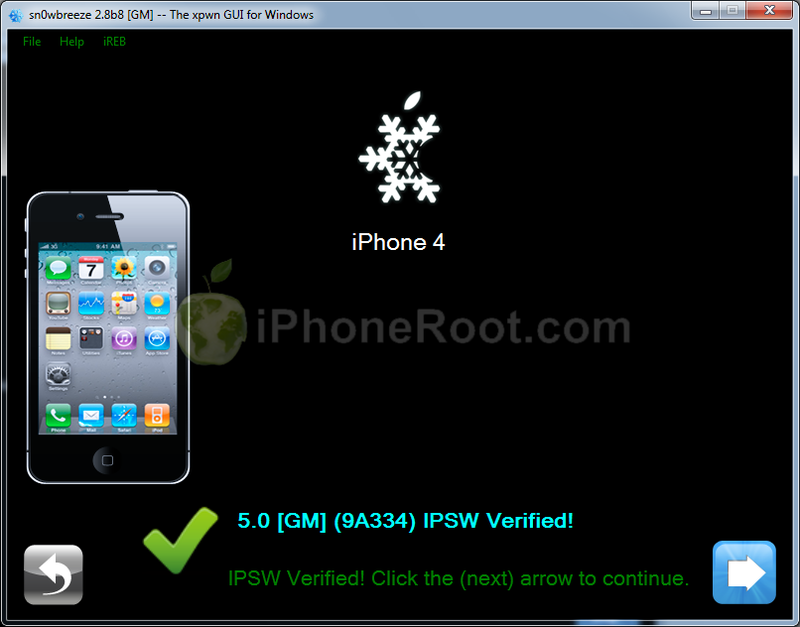 For iOS 4.2.1 you can also use them or GreenPois0n (Windows, Mac OS). iPad 2 jailbreak is available for iOS 4.3.3 via JailbreakMe and iOS 5.0.1 / iOS 5.1.1 via Absinthe, iOS 6.0-6.1.2 and iOS 7.0-7.0.4 via Evasi0n, iOS 7.1-8.1 via Pangu, iOS 8.1.1-8.4 via TaiG, untethered iOS 9.0-9.0.2 via Pangu9. iPad 3 jailbreak is available for iOS iOS 5.1.1 via Absinthe, iOS 6.0-6.1.2 and iOS 7.0-7.0.4 via Evasi0n, iOS 7.1-8.1 via Pangu, iOS 8.1.1-8.4 via TaiG, untethered iOS 9.0-9.0.2 via Pangu9. iPhone 4S jailbreak is available for iOS 5.0 / iOS 5.0.1 / iOS 5.1.1 via Absinthe, iOS 6.0-6.1.2 and iOS 7.0-7.0.4 via Evasi0n, iOS 7.1-8.1 via Pangu, iOS 8.1.1-8.4 via TaiG, untethered iOS 9.0-9.0.2 via Pangu9. iPhone 3GS, iPhone 4, iPod Touch 3G, iPod Touch 4G, iPad jailbreak is untethered for iOS 5.1.1 and iOS 6.0-6.1.4.
iPhone 5/5C/5S/6/6plus, iPad 4, iPod Touch 5G jailbreak is untethered for iOS 6.0-6.1.2 and iOS 7.0-7.0.4 via Evasi0n, untethered for iOS 7.1-8.1 via Pangu, iOS 8.1.1-8.4 via TaiG, untethered iOS 9.0-9.0.2 via Pangu9. iPhone 6S / 6S+ / 6 / 6+ jailbreak is untethered for iOS 8.1.1-8.4 via TaiG, untethered iOS 9.0-9.0.2 via Pangu9. iPad Mini / Mini 2 / Mini 3 / Mini 4 / Air / Air 2 jailbreak is untethered for iOS 7.0-7.0.4 via Evasi0n, untethered for iOS 7.1-8.1 via Pangu, iOS 8.1.1-8.4 via TaiG, untethered iOS 9.0-9.0.2 via Pangu9. Apple stopped signing iOS 4.3.3, so you cannot update to iOS 4.3.3 without SHSH keys saved (in advance some time ago). If you have iPhone 4, iPhone 3GS, iPad 1, iPod Touch 3G or iPod Touch 4G that run iOS 4.3.3 - use JailbreakMe or RedSn0w to untether jailbreak your device. If you have saved SHSH keys for iOS 4.3.3 you can use PwnageTool (Mac OS) or Sn0wBreeze (Windows). For iOS 4.3.4/4.3.5 only tethered jailbreak is possible with redsn0w. Tethered means that each time you restart your device you will have to connect it to a computer and run redsn0w. The untethered iOS 4.3.5 jailbreak is possible only for iPhone 3GS with old bootrom. You can detect your bootrom version using this tutorial. To jailbreak and unlock iOS 5 use latest version of redsn0w 0.9.9 or sn0wbreeze 2.8. You can jailbreak tethered or semi-tethered. The untethered iOS 5 jailbreak is possible only for iPhone 3GS with old bootrom. You can detect your bootrom version using this tutorial. For iPhone 4/3GS, iPad 1, iPod Touch 3G/4G an untethered jailbreak is available for iOS 5.0.1. For untethered jailbreak use the latest redsn0w 0.9.10 or Corona - package from Cydia to untether currently installed tethered jailbreak. Tutorial how to untether installed tethered jailbreak is available here. For iPhone 4S and iPad 2 use Absenthe. For tethered iOS 5.0.1 jailbreak you an use redsn0w 0.9.9 and sn0wbreeze 2.8. For now only tethered jailbreak is available for iPhone 4/3GS, iPad 1 and iPod Touch 3G/4G for iOS 5.1. You can do an untethered jailbreak for iPhone 4S, iPhone 4, iPhone 3GS, iPad 3, iPad 2, iPad 1, iPod Touch 3G, iPod Touch 4G and Apple TV2G. Use Absinthe 2.0.4 or RedSn0w 0.9.12 (for all iPhones, iPods and iPads), Sn0wBreeze 2.9.5 (for all A4 devices) and Seas0npass (for Apple TV 2G). Untethered jailbreak is available for all devices with iOS 6.0 - iOS 6.1.2. It is called Evasi0n. Tethered jailbreak is available for old devices (iPhone 3GS, iPhone 4, iPod Touch 4) and Cydia package to make it intethered. Untethered jailbreak is available for all devices with iOS 7.x, including iPhone 5S/5C and iPad Air. Utility is called Evasi0n 7. Untethered jailbreak is available for all devices with iOS 7.x, including iPhone 5S/5C and iPad Air. Utility is called Pangu. Untethered jailbreak is available for all devices with iOS 8.x, including iPhone 5S / 5C / 6 / 6+ and iPad Air /Air 2 / Mini / Mini 2 / Mini 3. Utility is called Pangu8. Untethered jailbreak is available for all devices with iOS 8.0-8.1.2 including iPhone 5S / 5C / 6 / 6+ and iPad Air /Air 2 / Mini / Mini 2 / Mini 3. Utility is called TaiG. Untethered jailbreak is available for all devices with iOS 9.0-9.0.2 including iPhone 6S / 6S+ / 6 / 6+ / 5S / 5C / 6 / 6+ and iPad Air /Air 2 / Mini / Mini 2 / Mini 3. Utility is called Pangu9. You can download all firmwares here. If for some reason you don't want to use redsn0w 0.9.9 to jailbreak your iOS 5, here is a good alternative utility - Sn0wBreeze 2.8b8. It can perform a tethered jailbreak for iPhone 3GS, iPhone 4, iPad 1, iPod Touch 3G and iPod Touch 4G. 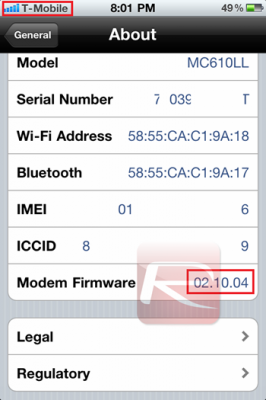 As usual it will preserve your baseband (modem) version for unlock with ultrasn0w 1.2.4 or Gevey Sim. You can download Sn0wBreeze 2.8b8 here. The iPhone Dev-Team has released RedSn0w 0.9.9b5 - an official tethered jailbreak for iOS 5. Users don't have to point to downloaded iOS 5 ipws any more. Just run and jailbreak. Currently only the Mac version has been made available. Windows version is coming soon. However Windows users can still jailbreak iOS 5 with Redsn0w 0.9.9.b4, - just go to "Extras" -> "Select IPWS" and select your iOS 5 ipsw file (can download here). The new "Custom IPSW" button on the Extras screen will create a custom IPSW without the baseband update for 4.3.3 or 5.0gm (iPhone3GS and iPhone4 only, for now). Remember not to accidentally restore to the stock IPSW after you create the custom one! The custom one begins with NO_BB_ (for "no baseband"). We will update our step-by-step tutorials soon. You can download RedSn0w 0.9.9b5 (Mac) and RedSn0w 0.9.9b4 (Windows) here. PS: RedSn0w 0.9.9 is a bit different from 0.9.8 version. You can learn more about other new redsn0w 0.9.9 features here. UPDATE: Windwos users can use sn0wbreeze 2.8b8 to preserve baseband. Gevey SIM was the only unlock for iPhone 4 users with basebands higher than 01.59. 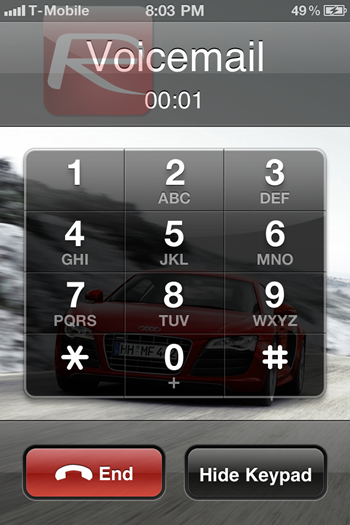 It uses the emergency dialer to force activate the locked baseband. MuscleNerd notes that its unlikely Gevey will try to battle Apple while iOS 5 is in the beta period. 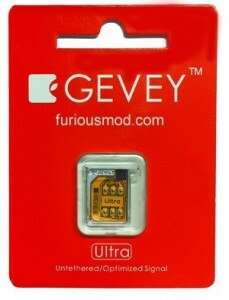 Gevey has released a SIM Interposer which can unlock the iPhone up to iOS 4.3 by force activating the baseband using the emergency dialer. SIM Interposer works by adding a EEPROM chip to your SIM card just like a TurboSIM. The unlock uses the ability to call 112, a number that can be called from any GSM phone. To unlock you need to insert chip with your sim card, dial 112, once it connects hang up, toggle Airport mode on and off - that's it, you unlocked your iPhone 4. We do not know yet if this is completely legal solution, so you might want to wait for DevTeam software unlock. Here are couple screenshots from redmondpie, showing iPhone 4 unlocked using Gevey SIM on 2.10.04 baseband, running on T-Mobile US network.